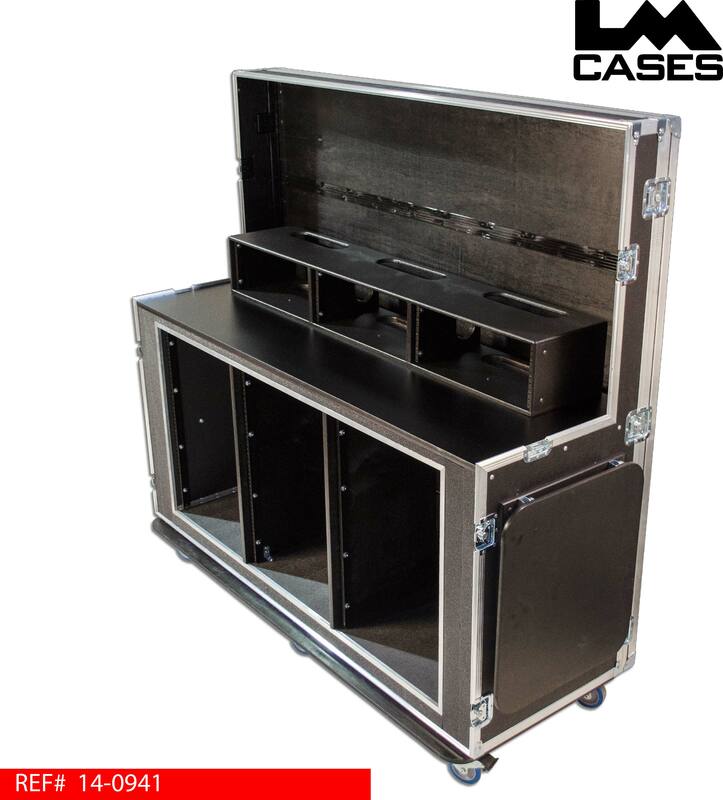 This case was designed for Portable Church Industries as a video switching workstation. The design allows 6 independent rack bays and 3 preview monitors to remain connected allowing volunteer church members to simply remove the lids and plug the unit in for easy set up. The top of the case features a large open ring that allows 3 separate preview monitors to be mounted above the 3 top mounted 4RU rack sections. 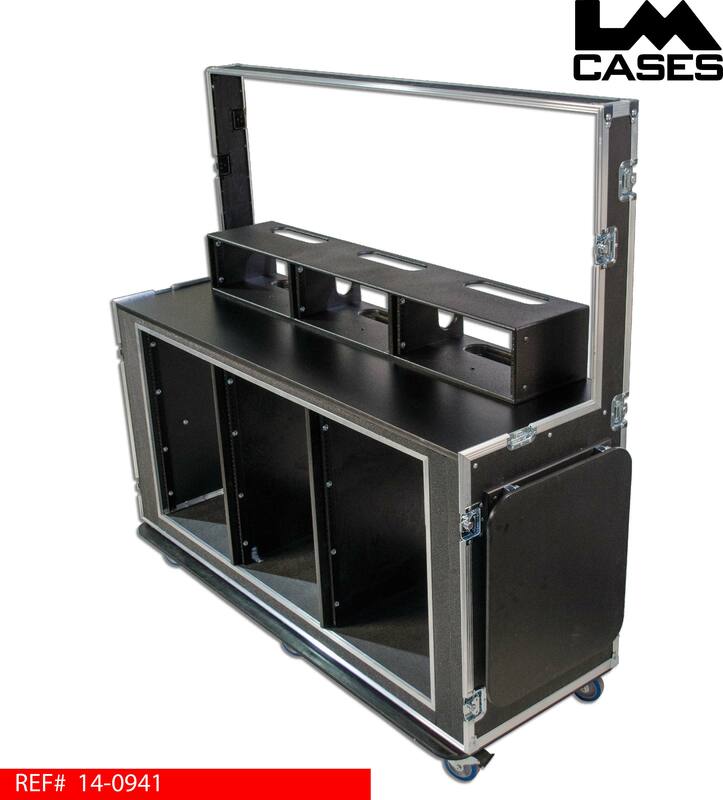 Each top mounted rack section is designed to hold a total of 3 power conditioners, 2 Black Magic Smart View Duo preview monitors, a ClearComm interface panel and a Black Magic Audio Monitor. The rack section is built out of 3/4" Baltic Birch and finished with black texture coating, all sections including the top and bottom have cable passages. The switcher work surface is laminated with black Formica and is mounted at standing height. Below the work surface are 3 shock mounted 16RU rack bays. 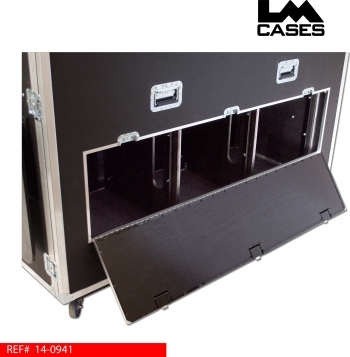 Each rack bay features front & rear rack rail, 23.25" shell depth and an access door on the back of the case. 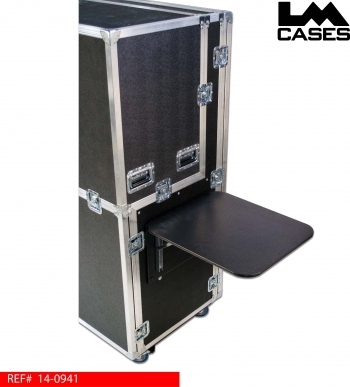 The case also features a side mounted pop up table designed to hold a laptop. The exterior case is built out of 1/2" plywood laminated with black ABS plastic and features deep recessed handles, and 4" Colson casters. 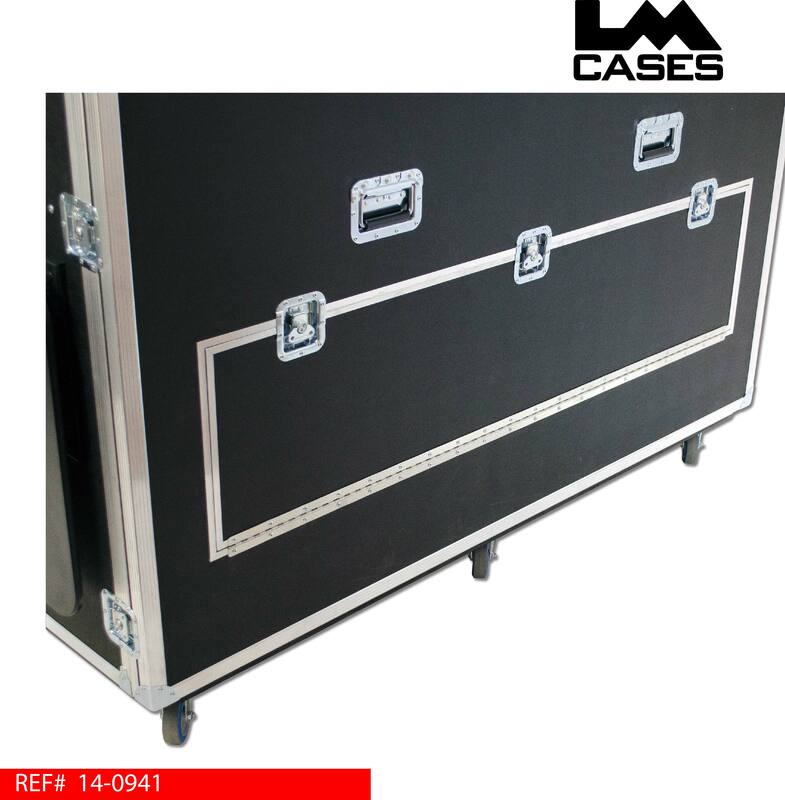 The maximum overall dimensions of the case including the casters are 71.75" wide by 28.5" deep by 69.75" tall. 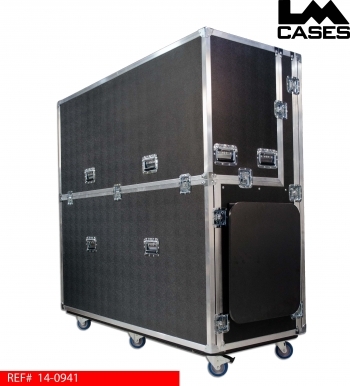 Special thanks to Portable Church Industries for a great project!